Boston scored three goals in a span of 88 seconds in the third period as the Bruins beat visiting Tampa Bay 4-1 to complete a strong month of February and snap the Lightning's 10-game winning streak on Thursday. Noel Acciari had a goal and an assist, and Jake DeBrusk, Patrice Bergeron and Brad Marchand also tallied for the Bruins, who have a 15-game point streak and haven't lost in regulation since Jan. 19 to the New York Rangers. 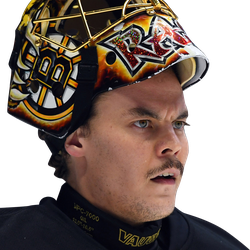 Torey Krug and Danton Heinen each recorded two assists, and Tuukka Rask recorded 20 saves for his seventh win in his last eight starts. The Bruins completed a full month (11-0-2) without a loss in regulation for the first time since November of 2011. Anthony Cirelli scored for Tampa Bay, which lost for the first time in regulation since Jan. 30. 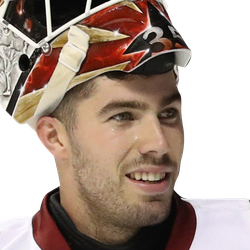 Louis Domingue had his 11-game winning streak broken after stopping 37 of 41 shots. In a game pitting the Eastern Conference's top powerhouses, the teams entered their second meeting with similar lofty numbers for the month. Neither club had lost in February, compiling a combined record of 22-0-4 in the year's shortest month. The match was the first meeting in NHL history between two clubs with points in at least 14 consecutive games. The first period was physical and scoreless, played tightly like a playoff game, and the Bruins outshot the visitors 17-4. After Boston killed off the game's first power play in the second period, the Bruins struck first at 8:43 on their own man advantage after Tampa Bay's Victor Hedman went off for interference. DeBrusk shot a puck that clipped the stick of Lightning defenseman Anton Stralman and went in for the left wing's 21st marker. Boston was the peppier side in the second, firing 15 shots on Domingue, who kept the game at 1-0. The Lightning, who beat the Rangers 4-3 in New York on Wednesday, mustered just five shots on Rask. Domingue stopped 36 of Boston's first 37 shots, but the Bruins scored three times on four shots in the third period. Acciari stole a puck from Nikita Kucherov and scored, Bergeron blasted in his 22nd goal and Marchand added his 26th on a breakaway to score three times in 1:28. Cirelli scored his 13th goal to break up Rask's shutout bid with 6:08 remaining.